Snapchat announced a partnership with Square on Monday to launch payments within the photo-sharing app. 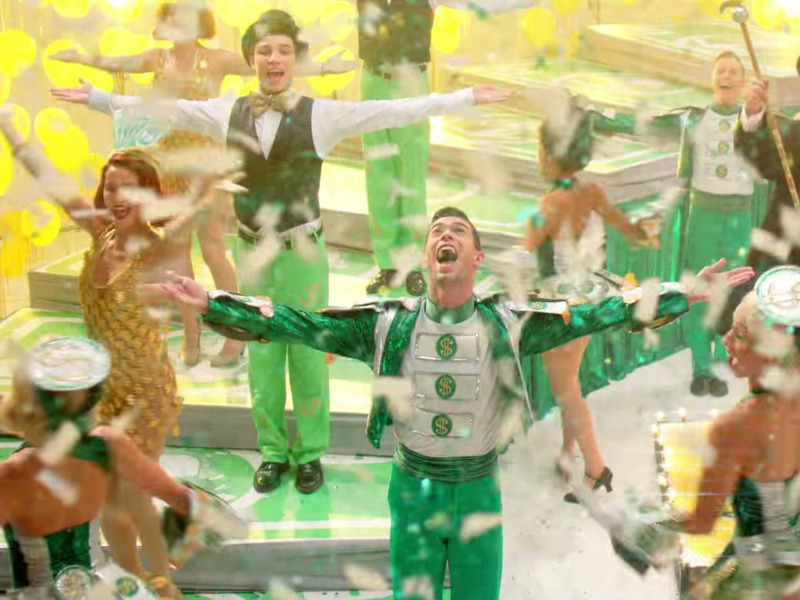 It launched the new “Snapcash” service with a bizarre ad (watch it below), which on the surface appears to be a tongue-in-cheek parade of the often ostentatious and self-important tech bubble. The ad opens with two teenagers showing how easy it is to wire money to each other using Snapcash, backed with music fitting for a space launch. 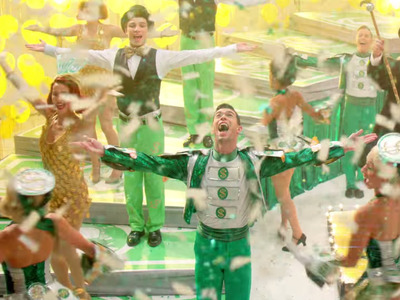 The shot then pulls away to an over-the-top Broadway musical-style routine, where dancers sing and parade around with giant coins imprinted with Snapchat logos. “A wise investment at any age,” then bleats an old, bearded man dressed like a circus conductor — Snapchat’s for everyone, not just the kids, the ad appears to be attempting to communicate. A wise investment at any age! Swipe-to-send. Will. Make. Your. Day. Snapcash, Snapcash, Snapcash in Snapchat!